As part of the project “Support to development of national capacities of the Republic of Serbia for civilian contribution to peace support operations and civilian crisis management”, the Ministry of Defence, represented by the Director for European Integration and Project Management of the Defence Policy Sector Colonel Dr. Katarina Štrbac signed today with Ambassador of the Czech Republic to Serbia, Ivana Hlavsova, a Memorandum of Understanding for a donation to be provided to the Peacekeeping Operations Centre of the Serbian Armed Forces. It is a document on cooperation between the Ministry of Defence and the Czech Development Agency and the donation consists of technical equipment of the value of some 30,000 euros. The project is based on the successful cooperation of the Serbian Ministry of Defence, Ministry of Foreign Affairs, Ministry for European Integration and the International and Security Affairs Centre, which is funded by Czech Development Agency. Today’s signing was also attended by Head of Operations Department of the General Staff of Serbian Armed Forces Brigadier General Duško Živković and Acting Head of Peacekeeping Operations Centre Colonel Nikola Dejanović. On that occasion, a delegation headed by Ambassador Hlavsova visited the capacities of the Peacekeeping Operations Centre and she also attended the presentation about the tasks, use and the system of training that is conducted in the Centre. 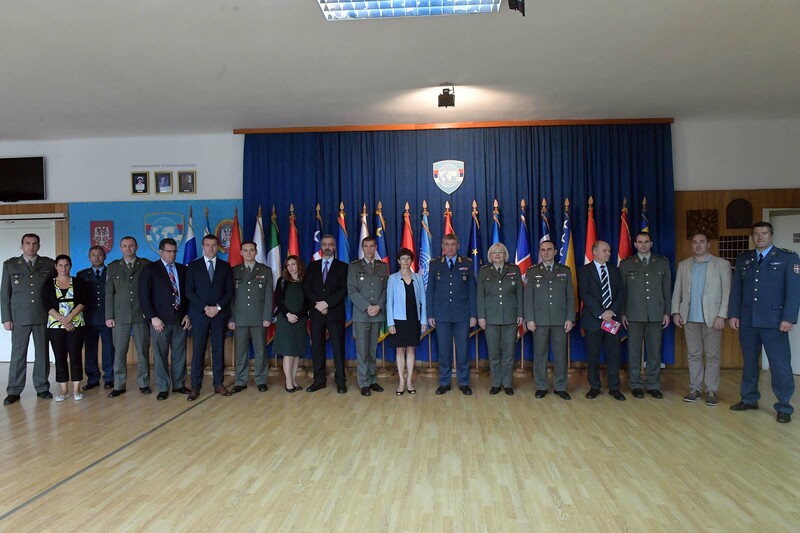 In line with the requirement of the European Union to strengthen the capacities of Serbia to participate in civilian missions, and in keeping with the agreement reached at the meeting of Negotiations group on Chapter 31, held in March 2016, a Subgroup of the Ministry of Defence and Serbian Armed Forces was established upon decision of the Minister of Defence in charge of providing legal framework and strengthening institutional capacities for the participation of Serbia in civilian missions under the auspices of the European Union. With the support of ISAC, the results of the work of the Subgroup done so far include the harmonised Action Plan which stems from the Report on the need to establish a national legal framework and institutional capacities for the participation of civilian structures from Serbia in multinational operations, adopted by the Government in May 2017. This document envisages that Peacekeeping Operations Centre conducts pre-deployment training of civilians for peacekeeping operations. Accordingly, the Centre is currently preparing a basic programme for the training of civilian experts whom Serbia will send to future European Union missions.